There are many examples in history where the overexploitation of resources led to depletion and pollution and caused societal, environmental and technological crises. Yet, there is no comprehensive discussion how societies responded to resource crises, how they perceived and framed these crises, formed and pursued strategies of relief, changed patterns of resource exploitation, ‘constructed’ new resources (such as physical or rhetorical substitutes), employed new geopolitical policies (from securing foreign resources to waging wars) and developed new technologies (such as technologies increasing resource availability or efficiency) to overcome crises. 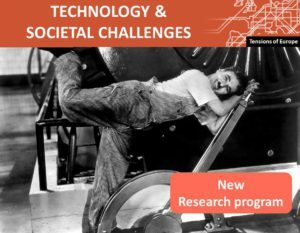 The aim of this research group is to examine connections between resources, crises and technology in Europe or in European engagements beyond Europe in the 19th to 21st centuries. Particular attention will be paid to the circulation of technologies, knowledge and ideas within Europe and from or to Europe, which are related to resource crises. This includes circulation processes within individual countries (e.g. between centers and periphery), in between European countries (e.g. East-West and North-South) and between Europe and other continents (e.g. with European colonies). With this approach we propose to discuss the crossroads between the history of technology, environmental history, and the history of exploitation of natural resources in a longue-durée perspective with the help of individual case studies. How was technology used by European states, scientists, local communities and other actors to explore, excavate, transform and use natural resources? What impact did it have on changing patterns of resource use? How did technology contribute to conceptions of development and sustainability and the emergence of forestry and water politics, agricultural development, biofuels and green technologies? 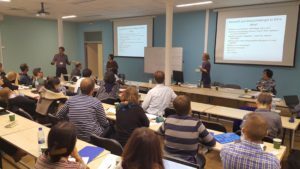 Workshop I: Technology, natural resources and crises in the past and present of Europe and beyond (St. Petersburg, Russia, October 2016). The workshop hosted about 40 participants from the USA, Russia, the Netherlands, Sweden, Hungary, and other countries. See program. 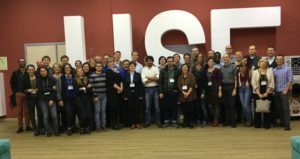 Workshop II: Technology, natural resources and crises in the past and present of Europe and beyond II (Aarhus, Denmark, May 2017). Stringed sessions at the 8th Tensions of Europe Conference in Athens (September 2017). See session program.